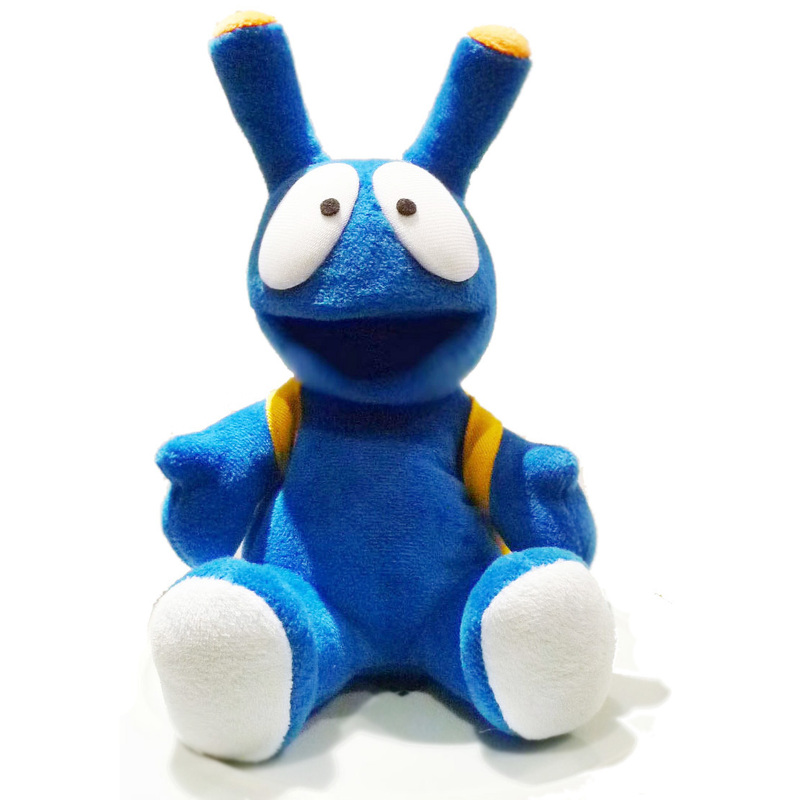 Plush Snupsi is not just your usual plush toy. You can bend his hands, legs and antennas. 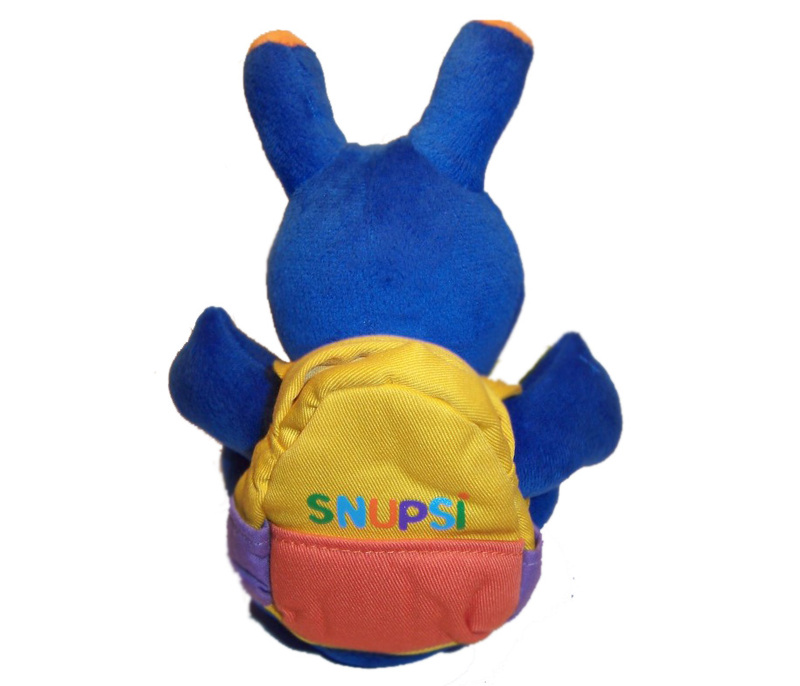 He has also a tiny detachable backpack, where tiny treasures can be hidden away. This is “the Snupsi” that finally led to writing the book and sculpt all his other friends. Thus, this batch of cuddly Snupsis are very close to my heart. Snupsi is 20 x 12cm (ca 8×5 inches). Recommended for children over 1 year of age. I can’t help it, but I just had to walk down the history lane and upload it. This is a video clip from around 2010. It was about the time when I had suddenly a container shipment with 2500 plush Snupsis and had no brilliant ideas what to do with all of them. So, for starters, I decided to make some sort of an advertisement that I could upload somewhere. Basically what you see is Snupsi spinning on a white dinner plate with my first sculptures hovering around. It looks as if it has been made way back in the 90s. It’s blurry, amateurish, but has it’s adorable charm. So here it is.